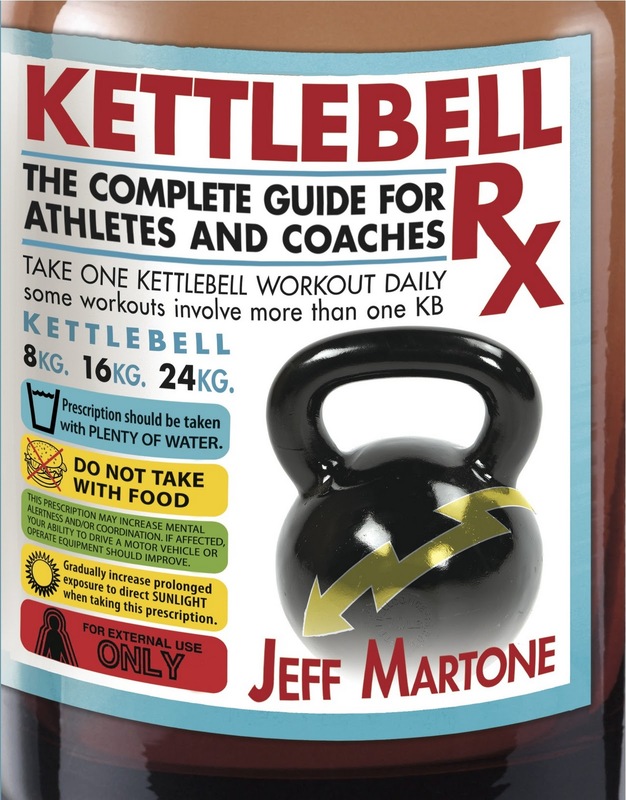 Before I do the introduction, before I even mention who, what, when, where or why, I’m stating, this is currently the BEST book written on the subject of training with kettlebells. Buy it on Amazon or from Jeff himself at TACTICAL ATHLETE. Now to the review itself. 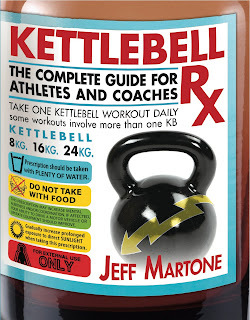 KettlebellRX is a book about the infamous subject of kettlebells. Jeff is one of the most famous instructors of this Russian training method. He’s soft spoken, strong, scarred, subtle and serious about being a powerful communicator in things that make you strong, enduring and tough. Jeff epitomizes the concept of walking softly and carrying a big fist. Here are just some of his accomplishments below. Currently a full-time defensive tactics, firearms and special response team instructor, providing low-profile operational development training for the Nuclear National Security Administration (NNSA) . Needless to say, seasoned veteran is an understatement. Jeff is no paper tiger. On top of this is Jeff’s personal experience of overcoming major injuries is nothing short of miraculous. Here is a quote about his shoulder history. I dislocated my right shoulder more times than the law should allow. I had my first surgery in 1985. I didn’t rehab it properly and continued to dislocate/sublux it about 10 more times until my second surgery in 1987. Since that time I dislocated my left shoulder three times and had surgery 1987. I never had problems with my left shoulder since. My right shoulder is a completely different story. I dislocated it at least 5 more times until 2000. It would literally come out while I was sleeping. Sometimes I could put it back in myself, sometimes with the assistance of my lovely wife. Since I started training with Pavel, my shoulder(s) have stayed in joint. I’m not a medical professional but I am more than happy to share what worked and what didn’t for me. I truly believe that knowing what I know know, I could have eliminated all the surgeries and unnecessary dislocations. Based on evidence of the the author’s background and reputation, this book should be a slam dunk. However writing a book and publishing them is another world entirely. Fortunately this book is put together by Victory Belt. They are well known for the best books on MMA and Brazilian Jiujitsu. Their ability to show physical motion with detailed photography is very good. This is a good combination. -The photography is very good. Attention to detail is great. -Jeff’s pattern of Introduction-Example-Common Error-Corrective Drill. -The categories of basics, crossfit, H2H, and girevoy sport, prevent confusion. -The book is HUGE. 320 pages. -Jeff references lots of other experts. -THE AMERICAN SWING. This is like teaching Bigfoot Behavioral Science. It doesn’t exist except at Xfit. 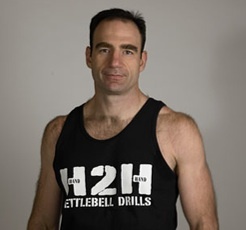 Jeff is the “Subject Matter” [from his book] Expert at Crossfit on kettlebells. It is part of their program. Jeff puts much effort into making this another tool in the box. Kind of like parents checking under the bed for monsters to satisfy their fears. It’s a compromise and Jeff makes the best out of it. – The GS or kettlebell sport component of the book could have been longer. However this is a vast subject and lots of photographs would be needed. Perhaps Jeff is planning another book since adding a large section would have made the book around 500 pages. -When one thinks of Jeff Martone, they associate with Defensive Tactics. A side by side comparison of combative drills and rotational/H2H drills would have been nice, but ultimately you have to decide what to include and not to include and that’s determined by publishers. To sum it up. This book was a vast undertaking. Simply having the technical knowledge is not enough. Organization and communication may be even more important attributes when you want to get your point across. The bar has been set high by Jeff Martone and any effort to match it will fall prey to being redundant or just excessive. Great job Jeff.